On November 8, I sent out a plea of prayer for water in Cofradia through Facebook. Many of you responded and we are very grateful! That day as many of you prayed with us while we went out to the well, we prayed that God would open up the water veins again and provide water for the town. 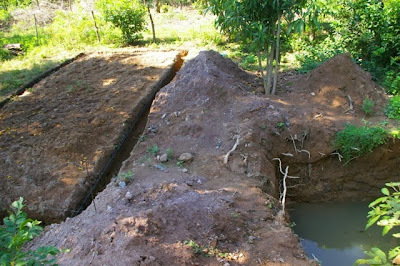 The well had gone dry during the three months we were without water. We had to repair a number of water lines throughout the town and the pump was getting weak as well. 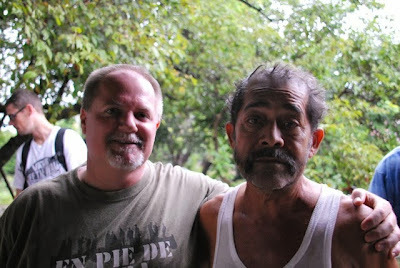 While we were out praying at the well, we sensed a need to go pray for the man in charge, Fermin. 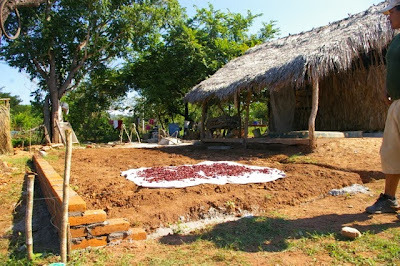 From there, we went to his house and he was very appreciative of our visit. We assured him that we knew and God knew that he was doing all he could to help the town get out of the problem it was in. With tears in his eyes, he mentioned to us that many townspeople had been ridiculing him and were placing the blame on him for no water. He was under a lot of stress. After visiting for a while and hearing his story of the pain he felt in his eye, we prayed for him and the town. Since then, some men went out and dug the well a little deeper and said that "mucha agua" was flowing out of the veins. What an answer to prayer! The water lines are fixed and we have had water now for a couple of weeks. As we heard the water pouring into the underground cistern at the house, it felt like Christmas when an excited little child anticipates the beautifully wrapped gifts under the tree. There are still two issues that have not been resolved. The first one is that the power company continued to charge the town for the use of the electricity for the pump at the well. It was nearly the equivalent of $3,000 US Dollars. 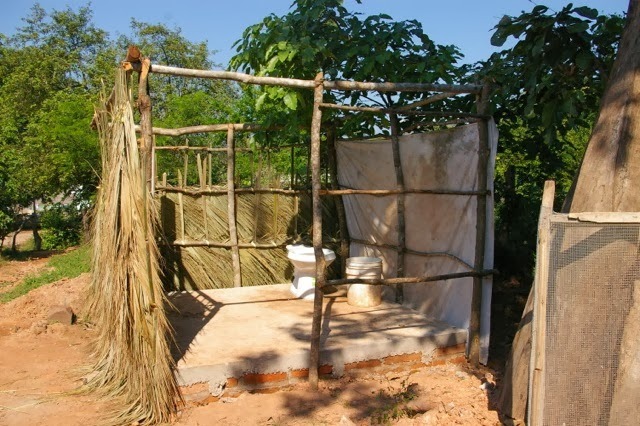 The town leaders went to fight it and the authorities lowered it to just over the equivalent of $1,000 US Dollars. The townspeople are set back with what they have to pay and some are refusing to pay. This is a heart issue and a perfect example of how one person's (many in this case) specific sin affects many others who have been obedient. Now, the town has to pay that bill, plus the bill for November that will be here in a few days. If we don't pay it, we go back to not having water again. It's a sad situation, but this is a small town and it's how it is in towns like these. 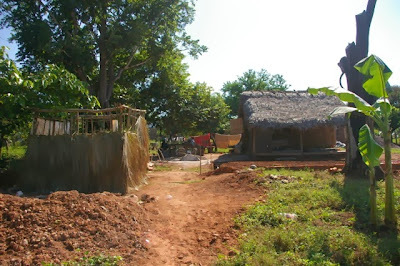 The monthly water cooperation for each family is only about $3 dollars! We can pay this, it's just a matter of the Lord softening the hearts that have been hardened. The other unresolved issue is Fermin's sight. When we were there he was able to see well, but had pain in his left eye. That was a Friday, the next Tuesday I went to visit him again and he had gone completely blind in one eye and the other eye was fuzzy. I have been visiting him from time to time and we even went out there with the group from Texas to pray for him. This morning he still has pain as if a nail were scraping his eye as it moved back and forth. He is still blind in his left eye and has blurred vision in the other. I've been sharing with him about Jesus' love for us and how we can become His children. Fermin has been taught that everyone is God's child. We know from the Scriptures that everyone is His creation, but in order to become His child, we need to believe in Christ and receive him as our Savior as Genesis 1:26 and John 1:12 state (just to mention a couple of the many verses on this subject). Please continue to pray for the town and for Fermin. Fermin's doctor changed his appointment from November 28 to the end of January. There is no one (within his insurance plan) that will see him. Pray for his salvation as well. 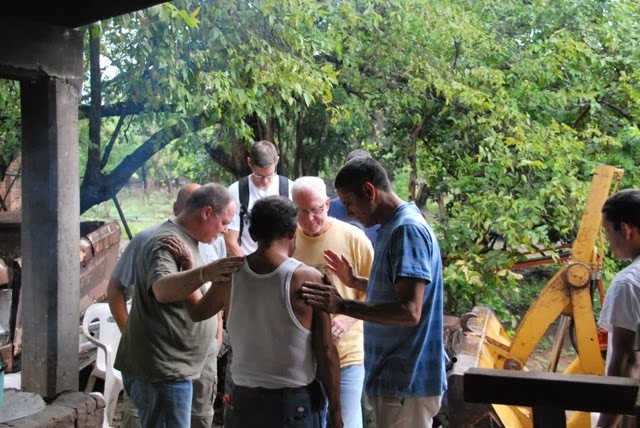 A week ago, Cy-Fair Church from Houston, Texas sent five men down to work with our men's ministry. The goals were to encourage the locals in their walk with the Lord, establish a relationship with the men, and introduce a resource for our men to study as a follow-up. All of those were accomplished as the Cofradia Church men were very appreciative of the Texans' visit. The dynamics of just being here is something that encourages people more than we know. 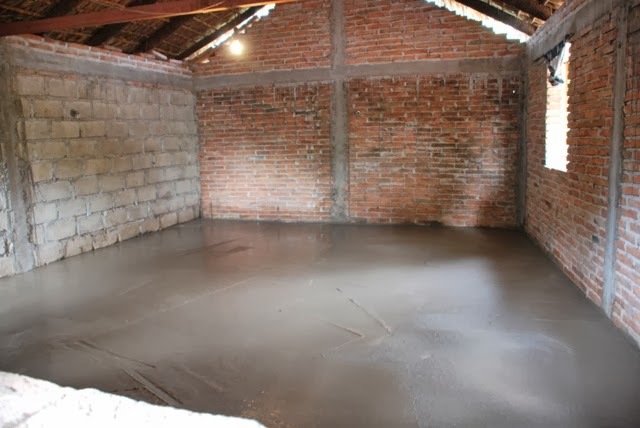 We spent time working together and fellowshipping together as we poured a floor for the bedroom of one of the men of the church, Gustavo. 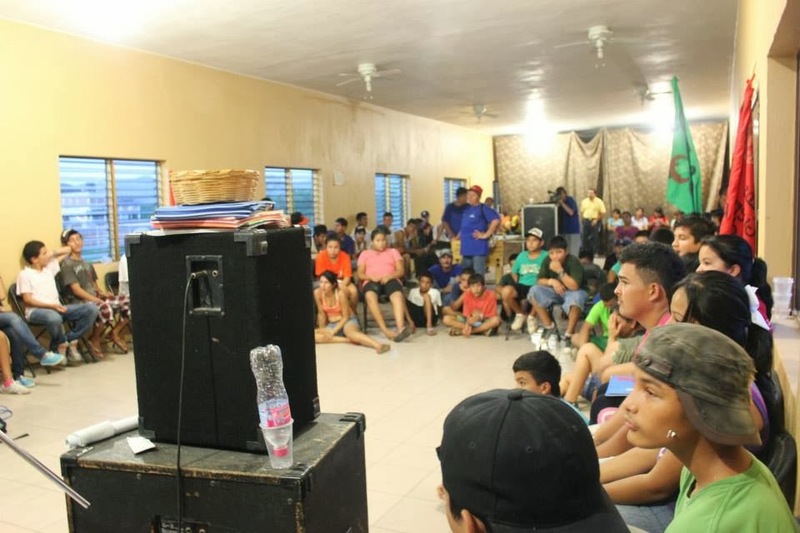 Once we finished, we were able to all sit down and hear Gustavo share his story of how he came to know who Christ is through the influence of the local missionaries and what made him finally make a decision to accept Christ into his life years later. After a scary run-in with a drug organization by almost being mistaken for someone else a couple of years ago, he realized that the Lord was very clearly speaking to him to make a decision to follow Christ. This made for a great transparent beginning with all the men present. 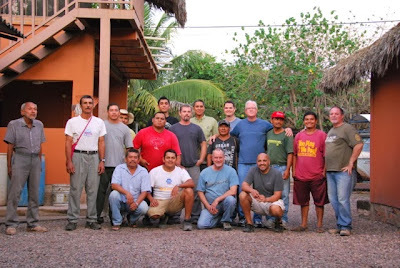 The plan for day two was rained out as we were hoping to go out to the fields and spend time together with the men's group planting corn, fixing fences, and enjoying some outdoor cooking over a fire. 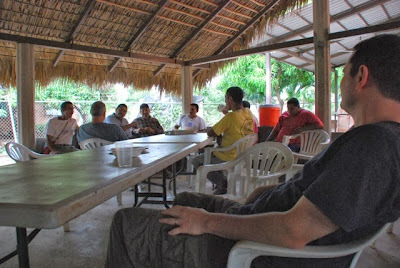 It was too muddy, so we decided to have the meal at the base which turned out to be a nice time as some of the men were able to connect as they visited. We also had a great turn-out Sunday evening as we played some games and Pastor Gollo shared a message. The church from Rosamorada came to participate with us that evening bringing a number of families to the fellowship time. Probably the most impactful time was the teachings on Friday and Saturday nights regarding the book, "Wisdom for Fathers" by David Glenn. We had three sessions and split up into small groups and it was amazing to see the men opening up and sharing their experiences and difficulties as Children of God, Husbands, and Fathers. It was a great introduction to a 10 week study that we plan on starting December 14 with those who were present and hopefully some more who weren't able to attend the meetings with the team. In the end, we are very grateful for the Cy-Fair church as they have invested so much into our ministry and church; first with the youth group coming down for a number of years, then the women started coming down, and now we continue our relationship with the men. Thanks to all who were praying for this team while they were here. It was a great blessing to have them. 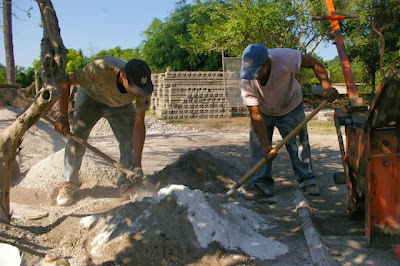 Great turn-out of local men to help pour the floor at Gustavo's house. It didn't take long until we were finished! Saturday afternoon lunchtime (instead of the fields) as the men sat around and chatted for a while. Most of the men who were involved in the weekend. Tom Hackett, the founder of our ministry (Alternative Missions), has been working on building homes for people here in Cofradia and mostly in Honduras the past few years through his ministry called, Dwellings. We have been working on preparations for three homes to be built: one in Cofradia, one in Santa Fe, and one in Arrayanes. Three families will soon be blessed with a dry and descent place to live. Martin then puts the mixture in the block making machine. They both press down with all they've got. Martin carefully takes the block out. Then places it on the ground to set. The next morning they stack the bricks. 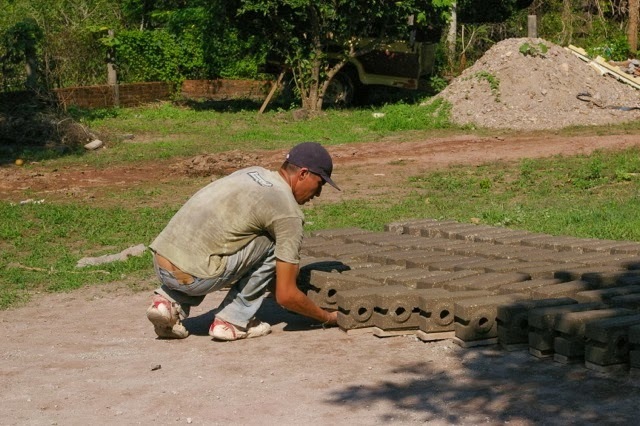 These are all of the bricks for the house in Santa Fe. To the left you see the footings already dug in preparation for the floor. 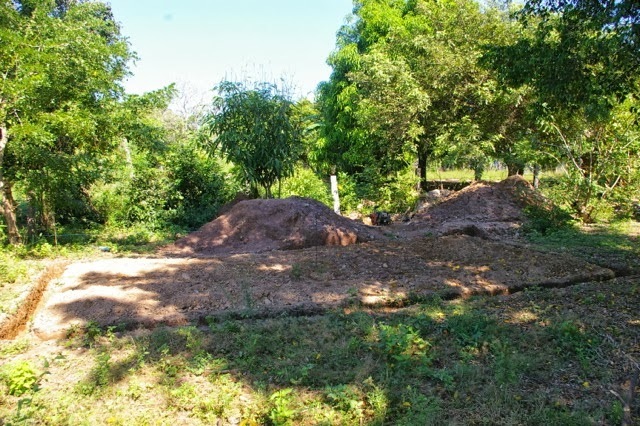 To the right you see the septic hole where the bathroom will be placed. Work has stabled a bit due to the rain; as you can see, there is water in the hole. Once the house is finished, this picture will be facing the front. The footings are getting prepared for the floor to be poured. This is the bathroom septic that has been built already. To the left you see the bathroom. To the right you see the existing house that will be in the back of the new house. If you look closely, you can see the footings and where the house will be. The big tree will come down and that will be the front of there house. 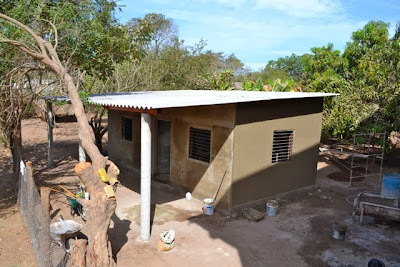 IF YOU ARE INTERESTED IN BUILDING A HOUSE FOR SOMEONE IN NEED, FEEL FREE TO CONTACT TOM HACKETT AT THE DWELLINGS WEBSITE. Yesterday, as usual, the town celebrated Mexican's Revolution with a parade. All the school kids and townspeople (those who want) participate in walking around town. This was Emma's first parade and she was pretty excited! Here are a couple of pictures; I also took some video. Sometime when I get around to better internet, I'll upload it. Rebecka with her classmates in traditional dresses. Emma walking with her classmates. Greetings from Cofradia, Mexico! It’s always exciting to me to send this update out as I feel like I’m talking to each one of you. We’ve had a semi-rough time since we’ve been back here in Cofradia with sicknesses...colds, stomach aches, infections, salmonella, and dengue. The weather has rarely dropped below 80 degrees (even at night) and it’s been pretty humid. 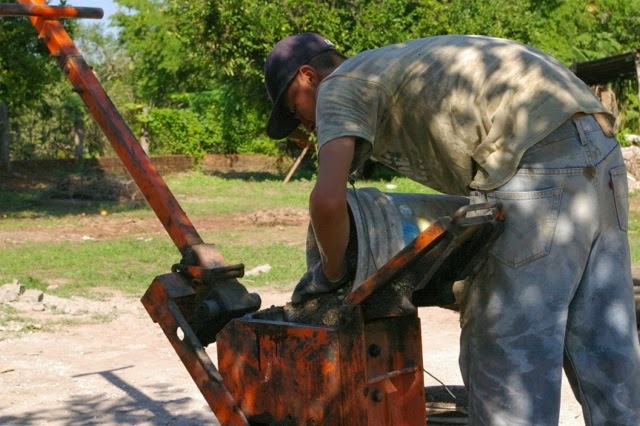 The town has been without water for over three months. Last week we had to go to the river to get some dirty water to wash with LOL! We’re still waiting for the new lines to be connected and other lines that have been broken, fixed. Apart from that, we’re excited about what God is doing here. 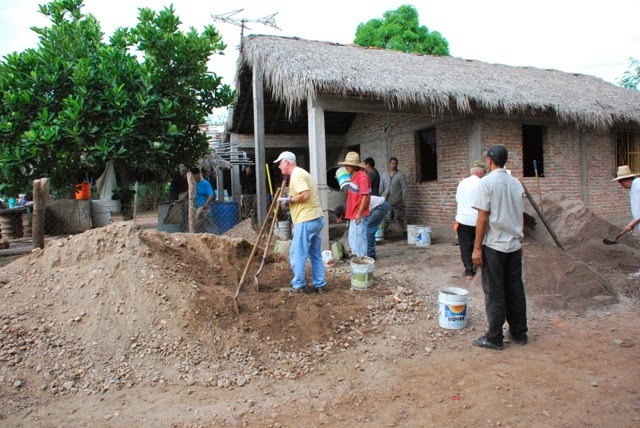 Things seem to come together more and more as we move forward...Raising up Leaders in Rural Mexico! EL RETO. We had a great year this year reaching out to students who don’t know God, encouraging those who have already been exposed to the gospel, and learning more and more of God’s love for us. There have been some great testimonies of how EL RETO has impacted students’ lives and reached their parents and teachers. 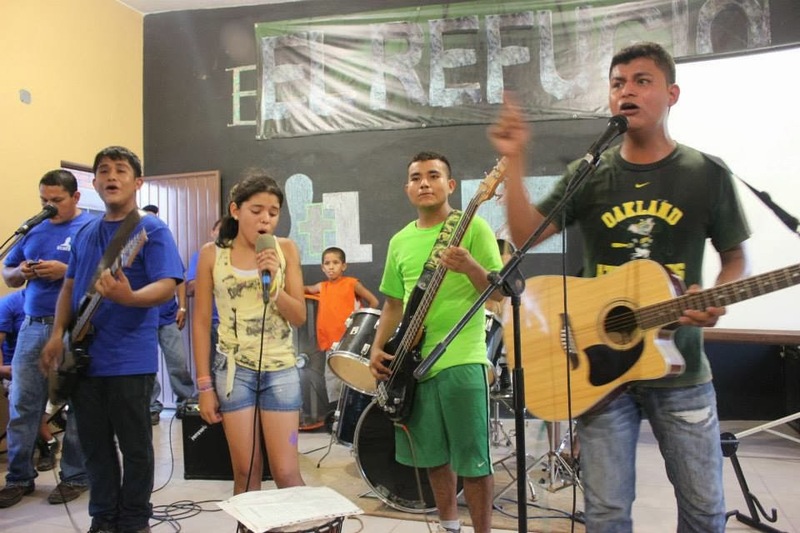 Also, Click here to read more about what happened in EL RETO 2013:FAITHBOOK. Bible School. We are excited about starting the online school through Summit Bible College in Bakersfield, CA. We look forward to what God has in store through this development. I’ll post more specifics once we know how many students we’ll have, who they are, and how you can help. Dengue. Well, according to the doctor’s interpretation of blood tests, I ended up with Dengue. It was a very light case, however, I felt pretty week for about 10 days. We’re all well now and the virus floating around town seems to have simmered down a bit. Cy-Fair Men’s Team. In just a few days, some men from Houston, Texas will be joining us as we will be ministering together with the men. They will be coming down to introduce to us a study book for men called Wisdom for Fathers by David Glenn. The women form the same church came down a few years ago and introduced Wisdom for Mothers and was a great study for the women. We look forward to developing relationships with them as we spend time together. Please pray for safe travels, open hearts, and God to be glorified. 13 Years! 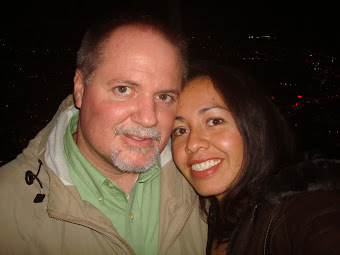 Geña and I will be celebrating 13 years of marriage on November 18! Thank you to all who pray for us and our family, we really appreciate it! Dwellings. 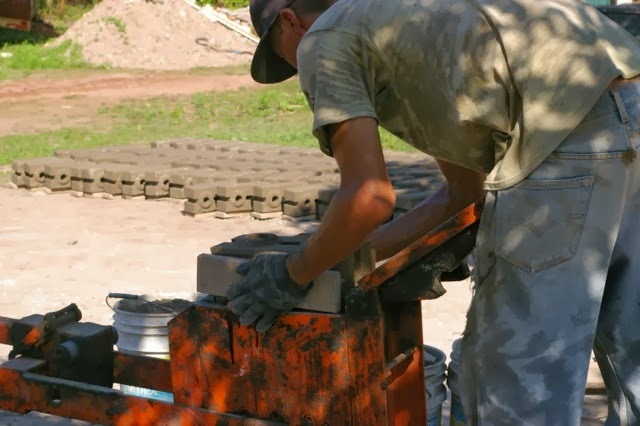 We are preparing for three house-builds in December and January—almost back to back. Three families will be blessed with a small house and bathroom that will accommodate their needs. Please pray for safe travels for the three teams that will be joining us, safety on the job, and that the preparation work would be done in a timely manner to have everything done we need to before the first team arrives on December 28. Another great year of reaching out to unchurched students, encouraging students who already have been exposed to the gospel, and learning more and more about God and His love for us. 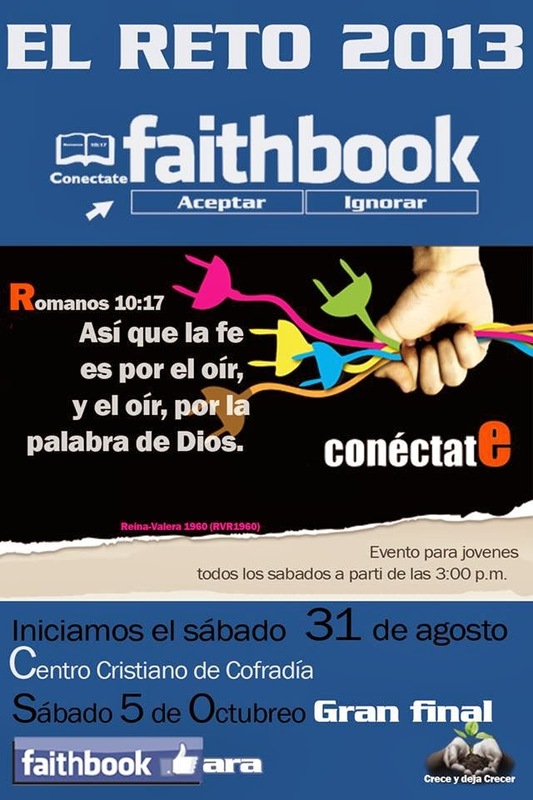 This year's theme "Faithbook" was focused on the Word of God as our Book of Faith. We know it to be true and as God's letter to us. It is through the Word of God that we ultimately have our Faith. Romans 10:17 says, "So faith comes from hearing, and hearing through the Word of Christ" (ESV). During the course of the event, the students were challenged to "accept" or "ignore" friendship with God. He extends His friendship towards us and not only that, offers to include us in His Family. What on honor! During the final RETO event, about 40 students came forward to respond to God's friend request making a decision to follow Him. 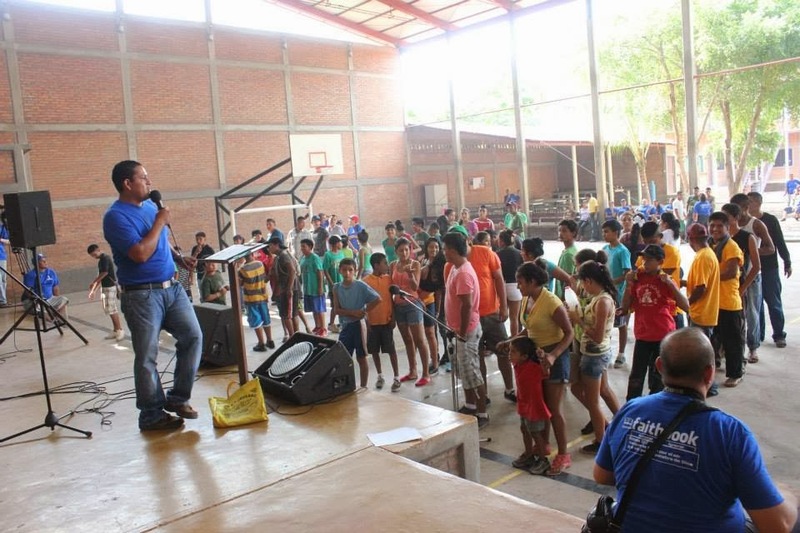 In all, there were nearly 180 students over the six weeks who participated this year including a number of students from other churches in the surrounding areas such as Tuxpan, San Vicente, Ruiz, El Tigre, and visitors from Tamarindo. Our youth Pastor, Luis Vazquez, did a great job this year with his team of leaders organizing and carrying out the event. It's always exciting to hear how God touches lives through this event. The students as well as adults can take advantage of opportunities to learn something. Teachable moments abound and those are the lessons that we remember. Here are three stories of how God worked in lives this year. Here are a few photos of EL RETO 2013... (you can also view full albums at the EL RETO Facebook page). Luis explains this year's EL RETO to the students. Teams work together to find their identity by choosing a name and decorating their flag. 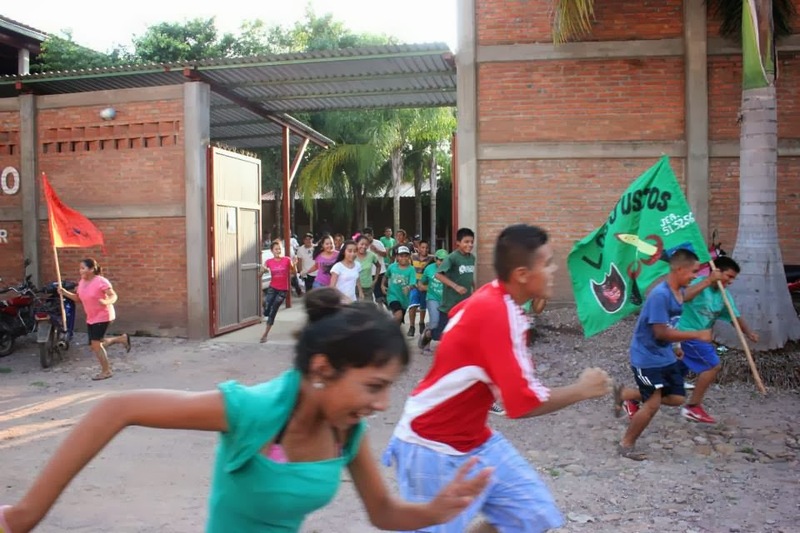 The exciting activities begin as the students race off to find their next task. 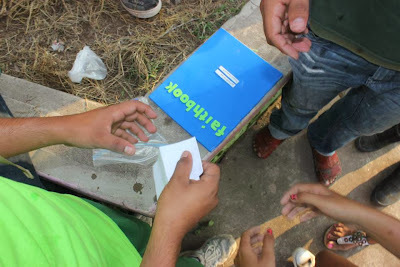 Each team put together their own "Faithbook". Forming a bridge across the river so a teammate can cross. Dramas in relation to their team's Bible story identity. For some activities, the teams are transported by trucks. listen to a message by Pastor Luis. Faith comes by hearing the Word of Christ. Before they leave, each team votes for another team to do chores. After voting, they wait for the results below. Next year is our 10th anniversary of this event. We are already looking forward to it! Please start with us now by giving a donation of any size! 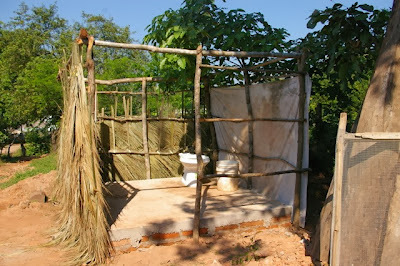 DONATE HERE TO "EL RETO". 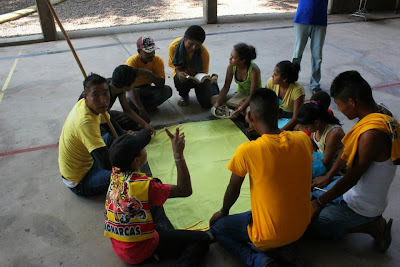 Three of the participating youth are brothers. The youngest of them had already failed the same grade two years in a row, and his teachers no longer wanted to allow him to continue studying. However, they decided to give him one final opportunity. This young man has many struggles with a lack of discipline, and the teacher was always calling his mother with complaints about him. Then this young man, together with his two brothers, decided to participate in El Reto, and the Lord did a great work in all of their lives. All of them began to change both in school and at home. Gabriela and Delio Virgillio are a brother and sister that participated in El Reto beginning the second week of the six-week event. 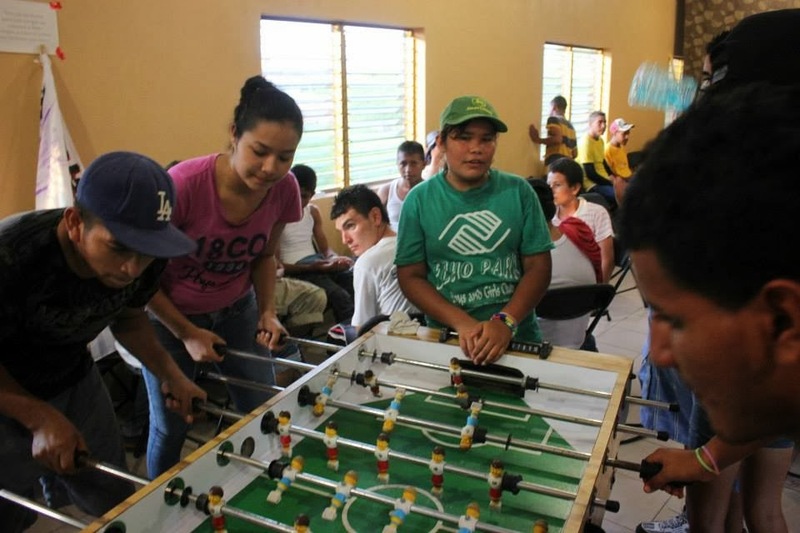 Originally, they signed up because they were bored and needed to change up their weekly routines at home in San Vicente, Nayarit. 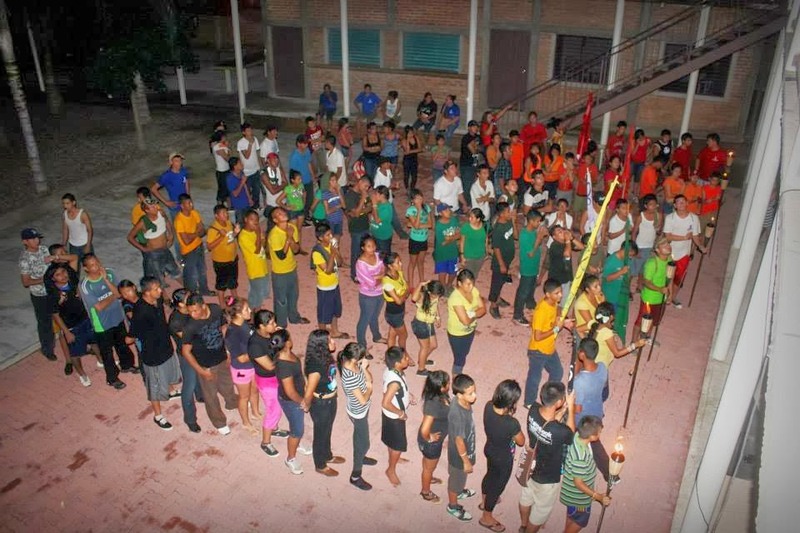 Over the course of the rest of El Reto, they continued to grow more excited and spent all week anxiously awaiting Saturday when they would “go to El Reto” at the church in Cofradía. 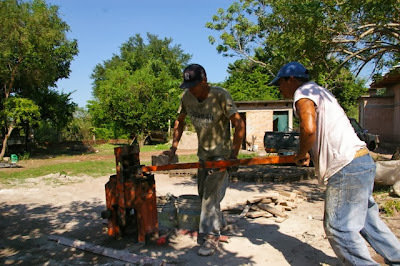 During those five weeks of their participation, God was working in their lives and hearts without them even realizing it. 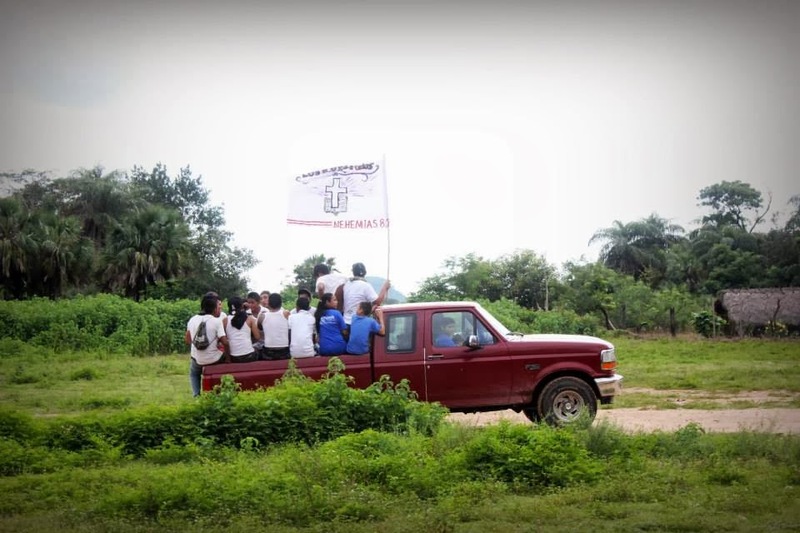 When El Reto was finally over, they told the pastor of the church in San Vicente, where they had never before attended, that they wished El Reto were not over but could continue all year because the sermons they heard from Pastor Luis made them feel good and accepted by God. Gabriela has sought out people from the church in Cofradía asking for prayer and counsel in dealing with difficulties she has been experiencing, a sign that God continues opening opportunities to reach out and minister two these two young people and for his sovereignty to be clearly visible in their lives.